If your Marshall Valvestate amp is not sounding as sweet, you may be in need of new preamp tubes. Indications of failing preamp tubes include high-pitched whistling noises and other sound degradation. Amplifier tubes are a wear item and require periodic replacement, with their lifespans dependent on usage time and intensity. Marshall estimates that an amp that is played three to four times a week will require new preamp tubes every three to four years. Power down the amplifier and unplug it from the outlet. 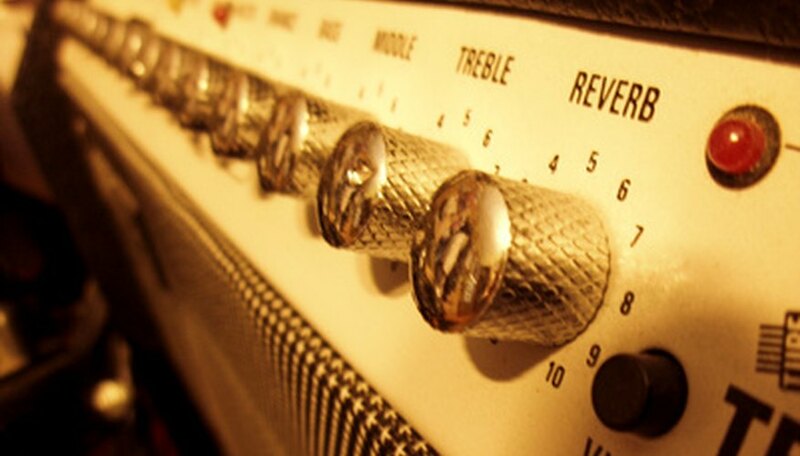 Allow the amp to cool down if it has been in use as preamp tubes get extremely hot during use. Remove the the rear grill from the amp by loosening the screws. You now have access to the inner electronics, including the preamp tubes. Firmly grasp the tube you need to remove with a soft cloth. Pull the tube straight up, holding open the retaining clips with your opposite hand. Inspect the tube socket. Any broken pins, clips or charring indicate a serious problem with you amp. If you find any of these issues get the amp inspected by a qualified repair person. Insert replacement preamp tube into the socket by carefully aligning pins and pushing straight down. Swing retaining clip back into place over the preamp tube. Repeat steps 3 through 6 for all preamp tubes that need to be replaced. Avoid touching preamp tubes with your bare hands as the oils can cause explosive tube failure. Marshall recommends replacing all tubes at the same time, as one tube failing is a good indication of weakness in all the tubes. Based in Atlanta, Trey Johnson has been writing since 2001 and has been a professional firefighter since 2007. He attends American Military University and is pursuing a Bachelor of Science in fire science management.